Stericlens is a versatile topical irrigation and wound cleansing system. 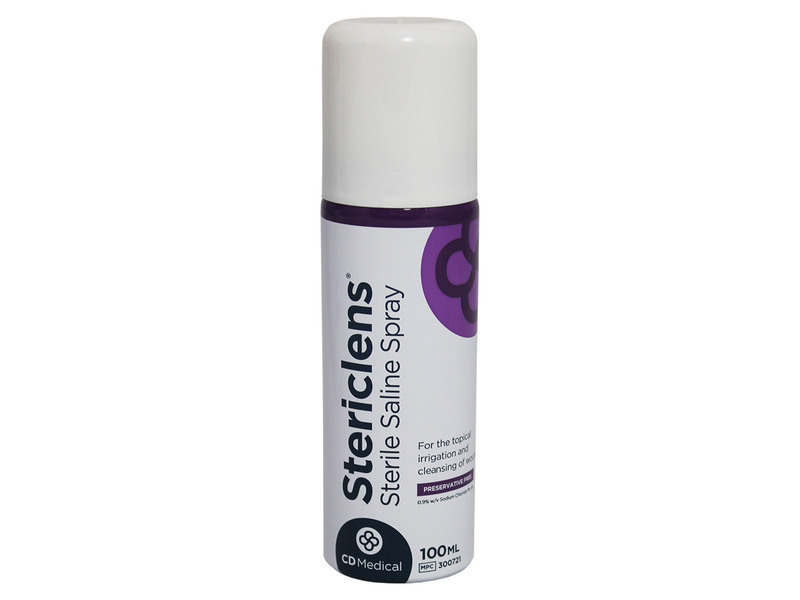 Its narrow spray is designed to help remove debris and bacterial matter without touching the wound. An ideal solution to first aid kits. Specially designed to maintain good infection control and hygiene practices. 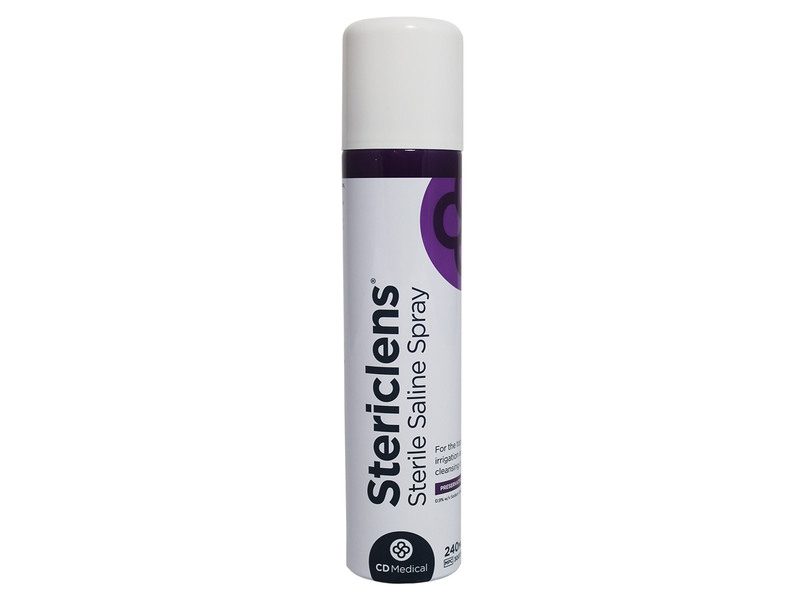 A cost-effective aerosol spray that can be used many times ensuring minimal wastage. 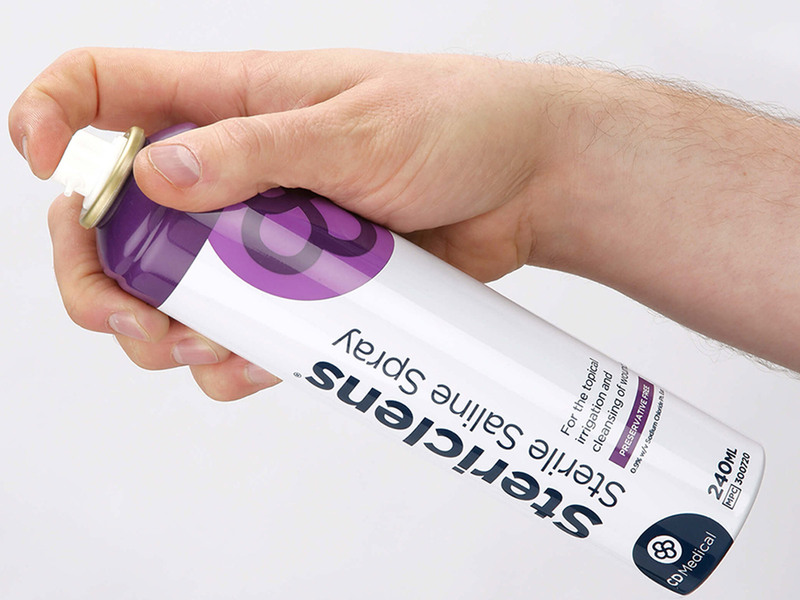 The simple spray design ensures this can be easily applied when necessary. 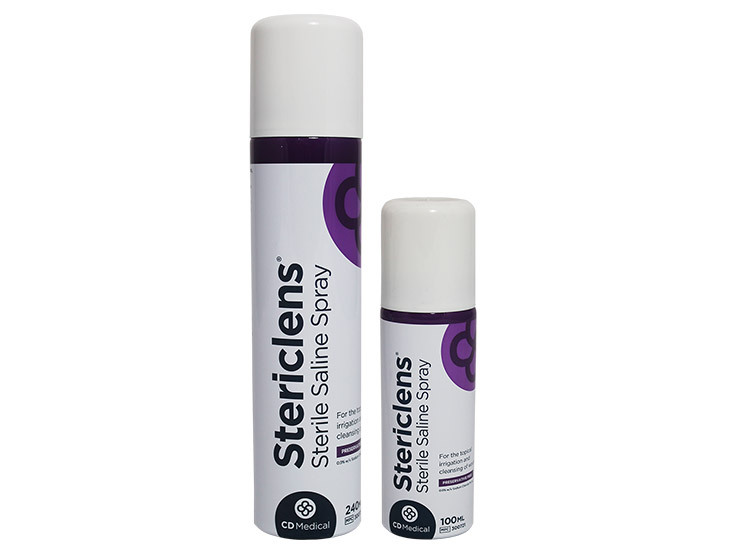 Stericlens Sterile Saline Spray features unique spraying technology allowing you to spray when held in any position - even upside down.